The Bear Creek Astoria watershed presents an interesting forest management initiative where the 3,700 acre catchment has been carbon certified. This has provided an innovative and generous economic benefit for the city, amounting to $2 million earned through the sale of carbon credits on the voluntary market in just the first 2 years of management (project extends to 50 years). It is important to clarify that the case of the Astoria Watershed is unique; the land is own by the City of Astoria which allows the city to manage the forest for carbon credits. 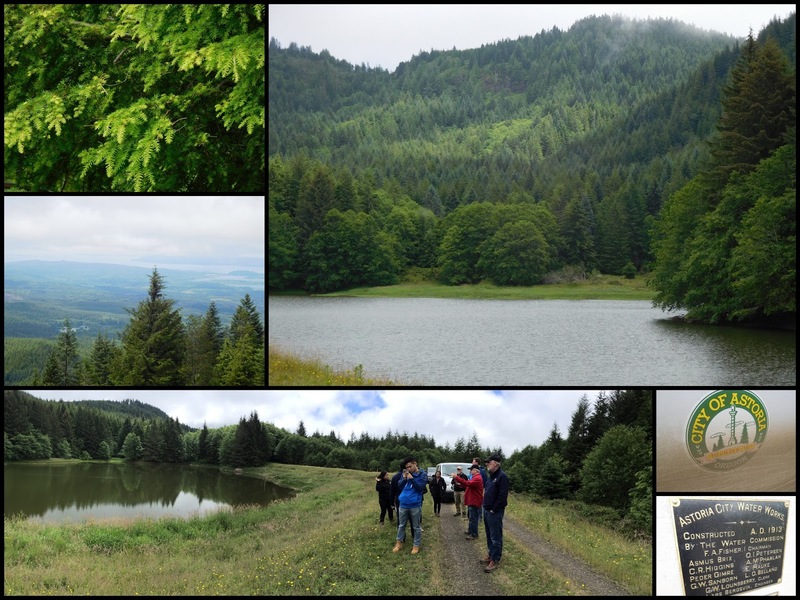 Carbon credits are not mandatory in Oregon, as is the case in California, so the voluntary action for the watershed has reaped many benefits in terms of growing carbon stocks, ecological benefits as well as additional revenue for the City for other public services. The sale was mediated by Portland-based The Climate Trust, processed under the American Carbon Registry (ACR) protocol and the credits were purchased by a power plant to offset their Greenhouse Gas (GHG) emissions. 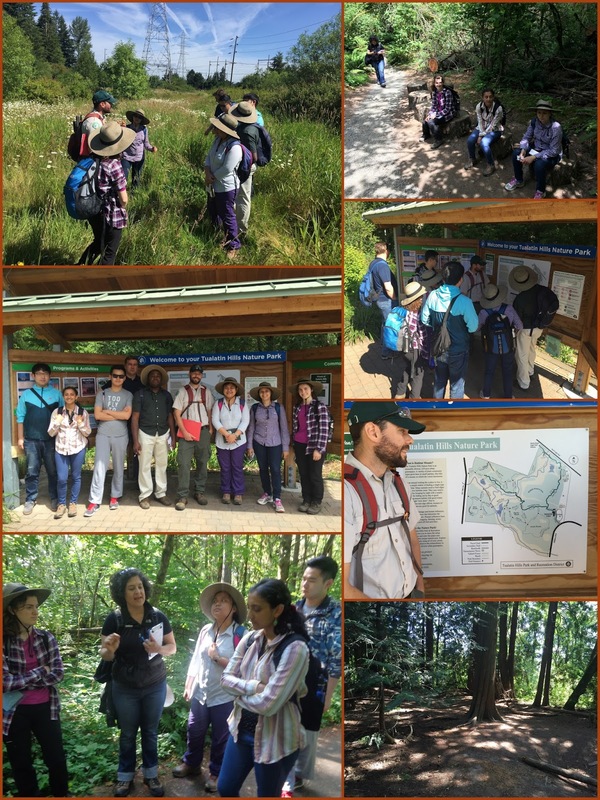 On this day, we went on a study tour to the Tualatin Hills Nature Park located in Beaverton, Oregon. The main objective of this study tour was to learn about restoration strategies for an urban forest park. During our visit, we also learned about wetland mitigation, trail building and corridor habitat improvement. This 220-acre urban park covered with evergreen deciduous forests, wetlands and meadows represents a high value habitat for wildlife. This park is a great example of how an island type of forest habitat can be reconnected and restored with adjacent land to create wildlife migration corridors.